I have collected statues in the past, I have the complete set f Hard Hero busts, which I like. 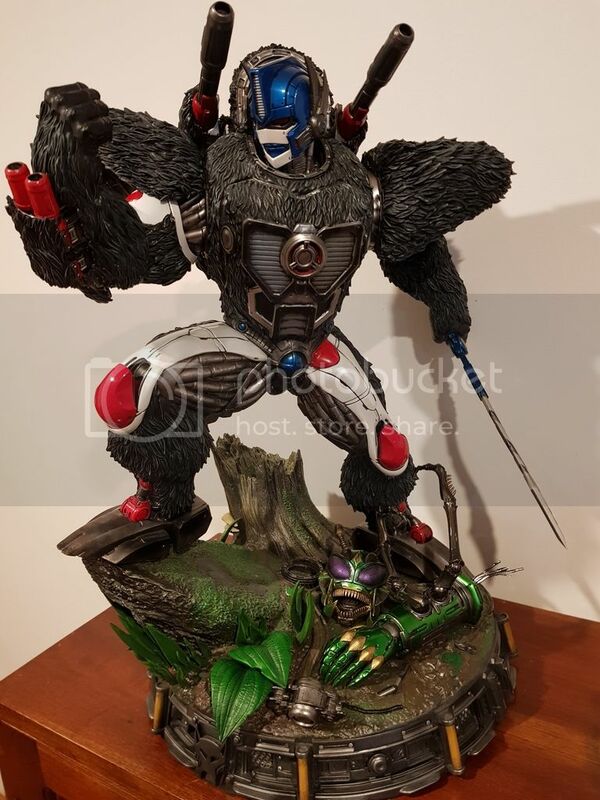 After seeing the Prime 1 Beast Wars Megatron I decided to pre-order it. 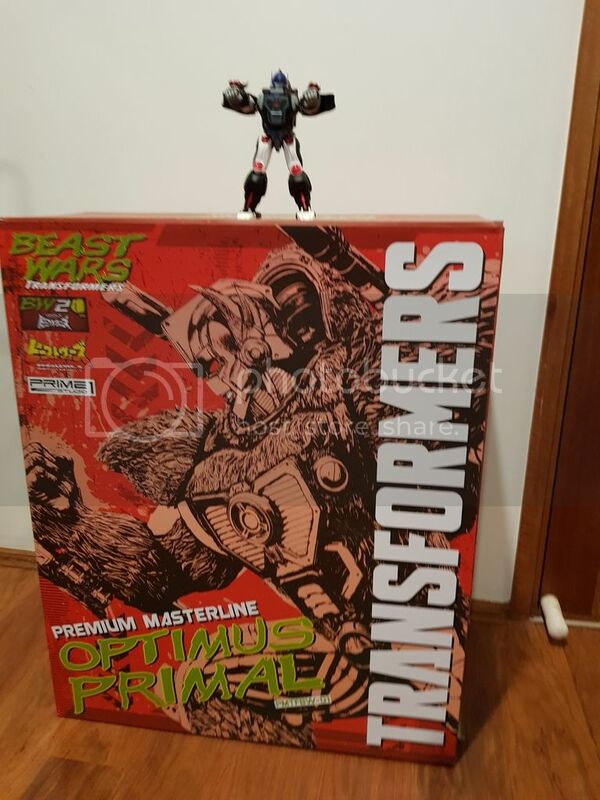 Me being me, I can't have BW Megatron without Primal so I decided to put it on a payment plan and order it. The detail in this statue is amazing from the different heads to the texture of Primals fur. He is huge, much bigger than what I was anticipating. I am simply impressed by this statue, and I can't wait to have Megatron right by his side. 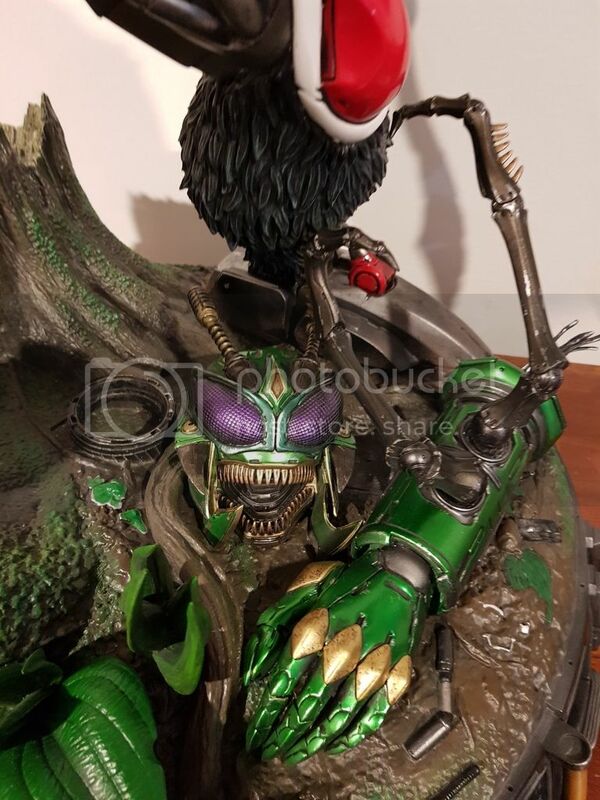 I like both Trukk and Munky!!! And the pics are already stunning! What an awesome detailed piece. Congrats! 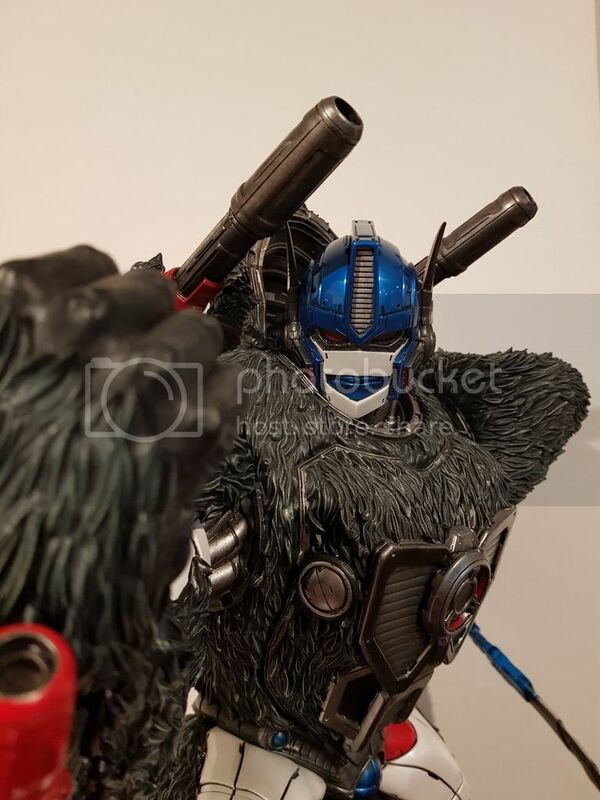 If he looks this good in standard lighting have you considered setting up custom lights for him and Megs? 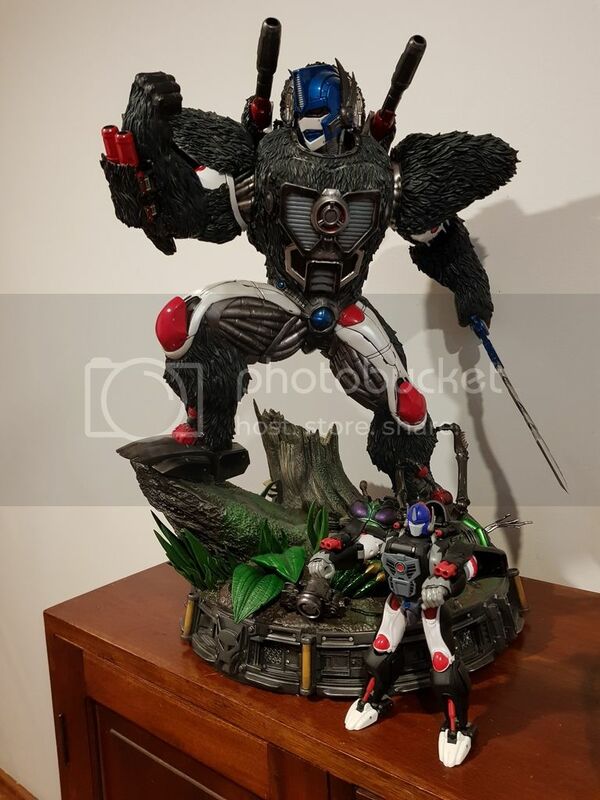 I am not really a Beast Wars fan although I did watch it as a kid but that looks fantastic. That is very big, and very nicely detailed. It must have cost a lot to buy and ship. I put it on a payment plan, so wasn't too bad. Looks fantastic and I really appreciate the detail. how much was the import tax?